Pools. Beaches. Back yard patios. Just a few of my favourite places to take advantage of the longer hours of sunlight, a great book in hand and a coffee or a cocktail (depending on the time of day). 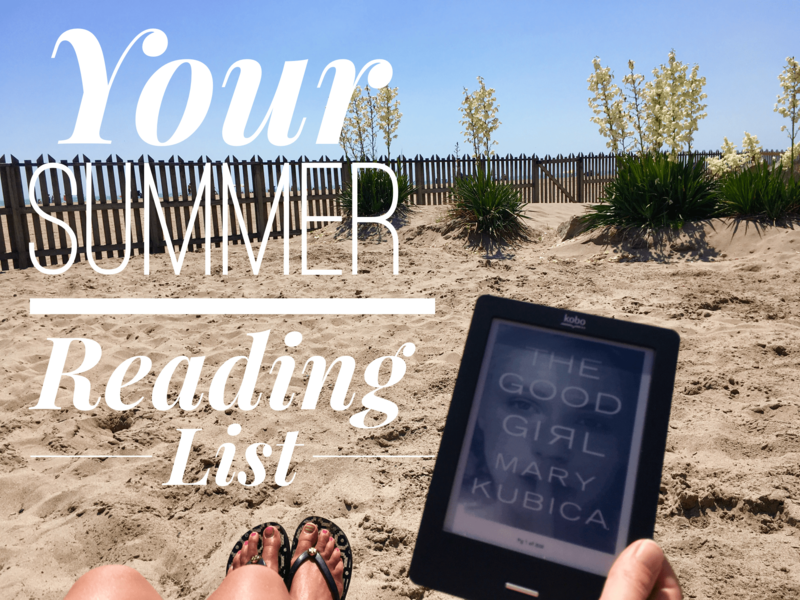 As a teacher, I find a little more time to read during the summer. I’m always on the hunt for a great story that I can share with others. These seven paperback books are easy to enjoy in any setting and sure to keep those pages turning. So here are a few of my favourite books this year, I’ve also included a handy book list cheat sheet photo, so save the image, share it or pin it! Keep it handy for the next time you need a new novel to indulge in. Our Souls at Night by Kent Haruf – A short story about finding love at any age. Two elderly people that come together because of their loneliness and need for companionship. The Nightingale by Kristin Hannah– A World War II story about two heroic sisters living in German occupied France. I loved this one so much that I did an entire post about it. Find it here. The Nest by Cynthia D’aprix Sweeney – A fun read about a dysfunctional family living in NYC. There are plenty of storylines to keep you entertained and keep the pages turning. 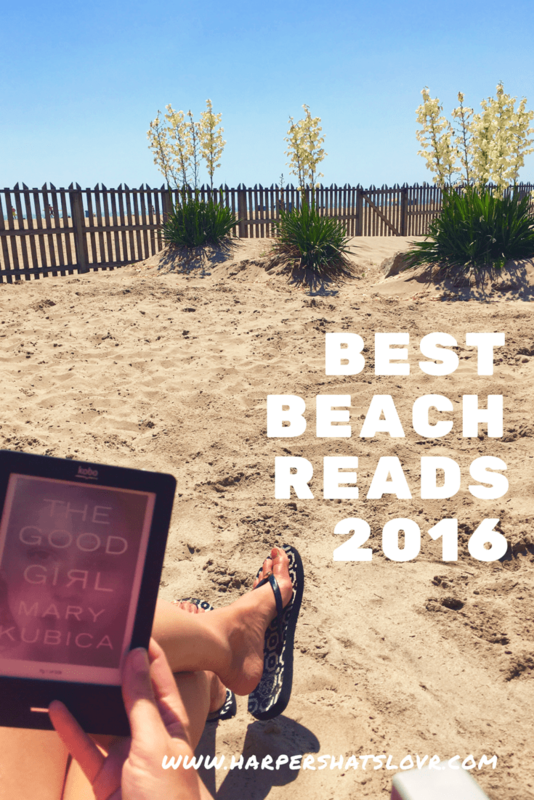 The Good Girl by Mary Kubica– The current book that I cannot put down. A twenty-something girl named Mia goes missing. The book narrates from the points of view of the detective, the kidnapper, Mia and her mother. After You by Jojo Moyes– If you read Me Before You (or saw the movie! ), then you’d probably like to know what happens to main character… in this sequel. A House in the Sky by Amanda Lindhout and Sara Corbett –A gripping true story about a Canadian journalist who was held hostage for 460 days in Somalia. The Chaperone by Laura Moriarty – Another good one from a fantastic author who never disappoints. The story takes place in the 1920s, about a young girl who heads to NYC to study dance with the accompaniment of a chaperone. *Read more about each title by clicking the links. Since I’ve read all these titles, you may want to know what I am reading next. I have three titles on my list and I can’t wait to get started: The Lake House by Kate Morton, Don’t You Cry by Mary Kubica and In a Dark, Dark Wood by Ruth Ware. Check them out, which one do you want to read? How about reading along with me? 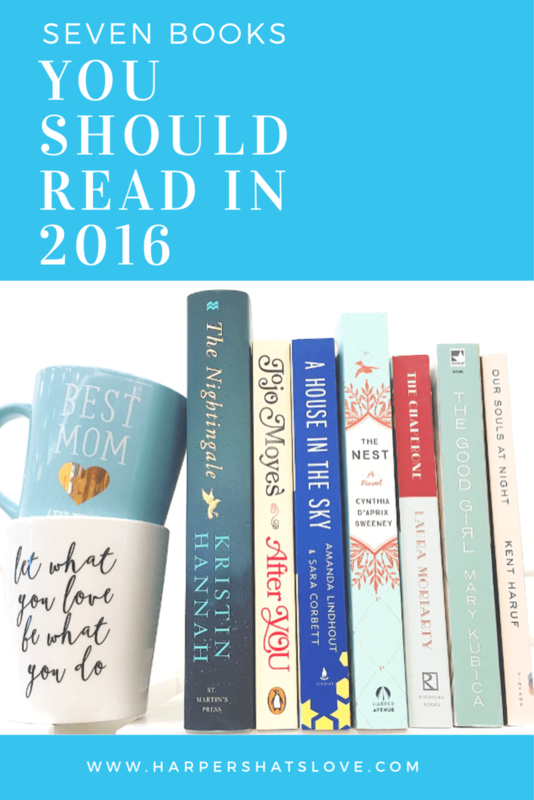 I’m entertaining the idea of choosing a book every couple months, blogging about it and getting you to read along with me. Kind of like a blog book club! Please let me know if you would be interested by leaving your comments below! And don’t forget to subscribe so that you don’t miss out on this opportunity! In a dark dark wood is an amazing ok. I read it so quickly. Love the book club blog idea!! Love the idea of blog book club. I can’t wait to read After You! Oh awesome! Make sure that you sign up for the mailing list, I’ll be sending out my first pick shortly! Enjoy After You! I’m so glad I came upon this! As I also love to read & always wanted to be in a book club.. I hope you can join in! I’d love to have you! Make sure that you sign up for the mailing list, I’ll be sending out my first pick shortly! I really think that A book club is so great and I hope that I can join. I had finshed 3 of your above recommendatons,it”s so enjoyed.